– Planning, Engineering, Management, Construction. 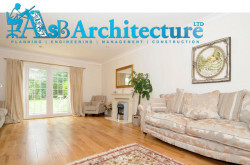 AsB Architecture Ltd is an architect firm in London. Established in 2013 and based in Hayes (West London), specialises in residential and commercial architectural practices. AsB Architecture Ltd provides full service architectural planning, engineering, management and construction. 54 Keith Rd, Hayes, Greater London UB3 4HP, UK.